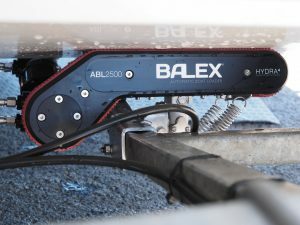 Tauranga, 28 September – Balex Marine, manufacturers of the innovative Automatic Boat Loader (ABL), has launched a capital raise open to the public on Snowball Effect to complete its current funding round. The round will be open from 26 September until 17 October, and the capital will be used to strengthen the company’s push into new markets in Australia, Europe and the US. The remote controlled ABL is a patented world first disruptive marine technology that solves a universal problem for boaties – the launch and retrieval at the ramp. A Hutchwilco Boat Show award winner, the ABL has aroused strong interest in the marine industry. “The Snowball Effect round is the first time retail investors will have an opportunity to take a stake in the ABL,” said Chief Executive Paul Symes, a co-founder of the company. The minimum investment size for the online offer will be $2,000. The offer will be targeting $300,000 to close out the current capital round, with provision for over-subscription. The company has signed up NZ’s largest nationwide marine dealer, Boating and Outdoors, with 23 stores, and has partnership agreements with four major trailer manufacturers and five NZ boat manufacturers. The company has also signed an exclusive distribution agreement for the UK, Europe, Middle East and Africa (EMEA) with Forge Group (UK). Balex and Forge Group promoted the ABL2500　at the Southampton Boat Show in September, and will be at the Marine Equipment Trade Show (METS) in Amsterdam in November.